Established in 1982 by its Owner John Walker, Delta Logistics Limited has become the premier marine contracting and consulting company in the Caribbean. Delta’s Head Office is in Carenage on the Western Coast of the Island of Trinidad which is located just a few miles off the East coast of Venezuela. Delta’s fleet comprises Mini-Supply Boats, Utility Vessels, Deck Barges and Service Barges. 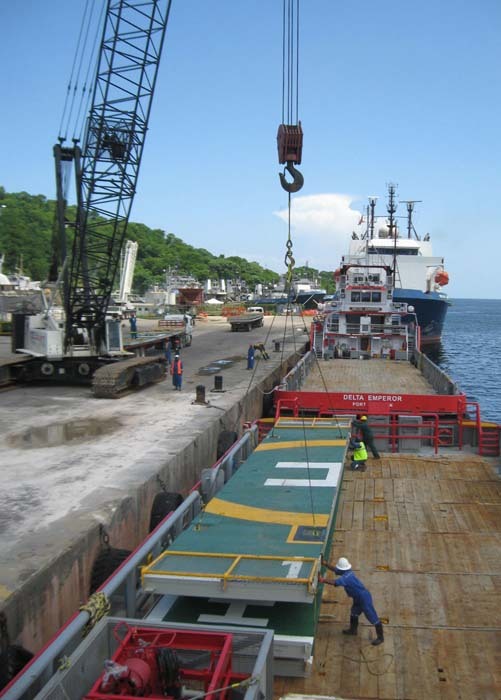 Our operations are mainly within coastal waters of Trinidad and Tobago, the Caribbean Sea, in the Atlantic Ocean East of South America, and the inland waterways of Venezuela, Guyana and Suriname. We at Delta are dedicated to providing solutions for energy companies, which are engaged in offshore exploration and production activity.